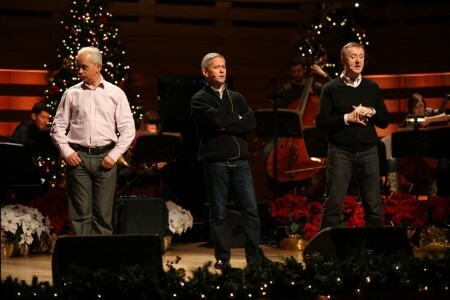 Salt + Light's Christmas Concert a hit! 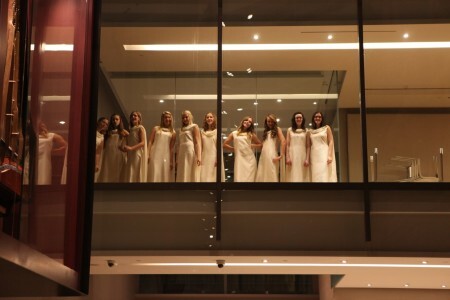 Salt + Light's 10th anniversary celebration, the Venite Adoremus Concert featuring The Priests, the Amabile Youth Choir and Rosana Riverso, went off beautifully last night. Below are a selection of photos from last night's events. The Priests, Fr. Eugene, Fr. Martin and Fr. 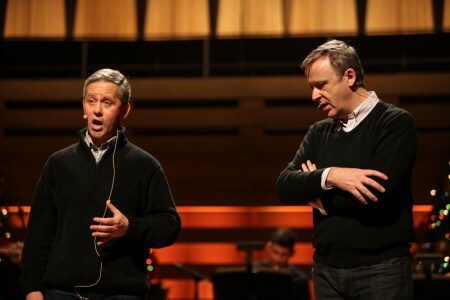 David, on stage at Koerner Hall during the final rehearsal. Fr. Martin and Fr. Eugene during rehearsals. Members of the Amabile Youth Choir waiting to go onstage. Tony Gagliano, Chairman of the S+L Board of Directors, onstage greeting guests just before The Amabile Youth Choir takes the stage. 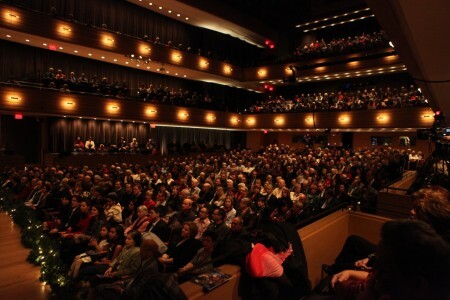 A full house at Toronto's Koerner hall for S+L's 10th anniversary Christmas Concert.